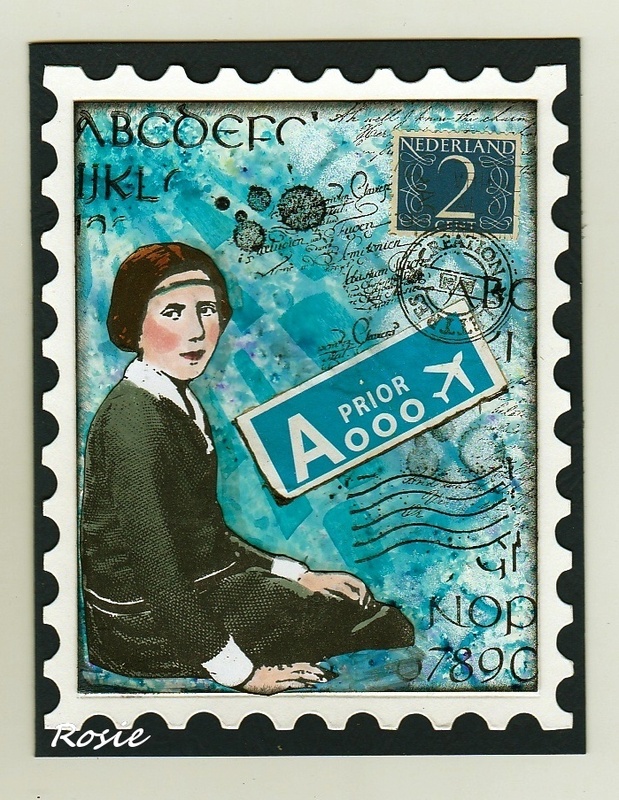 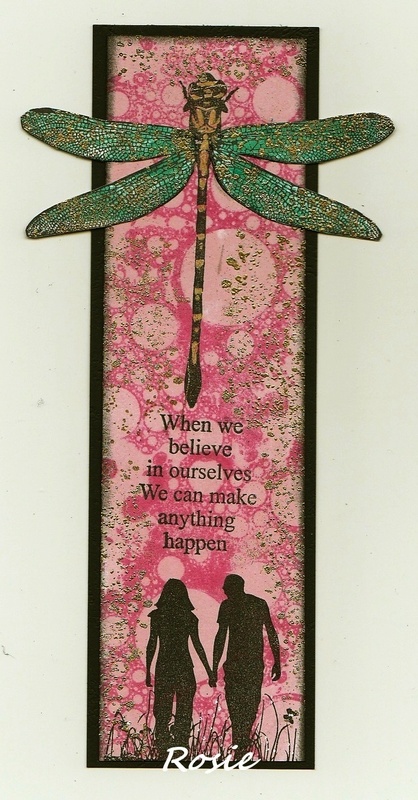 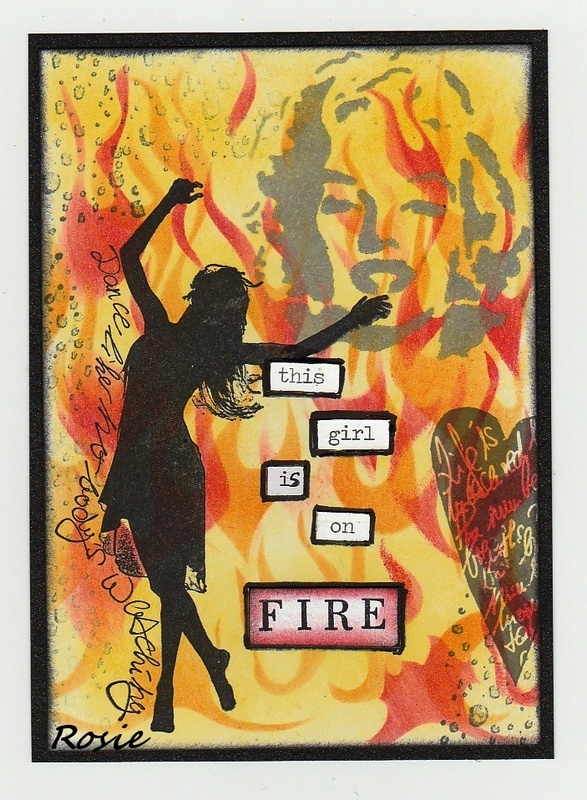 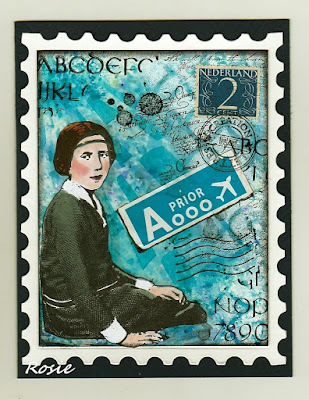 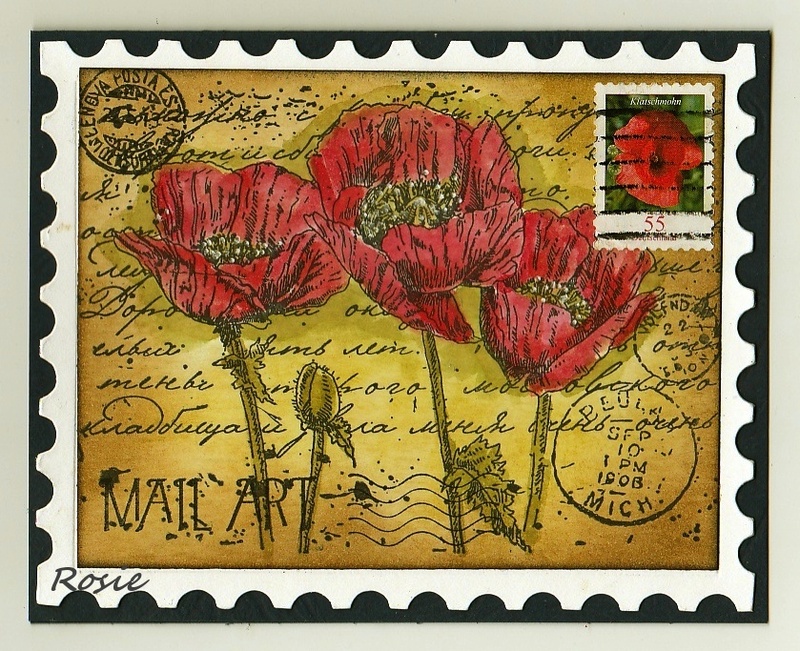 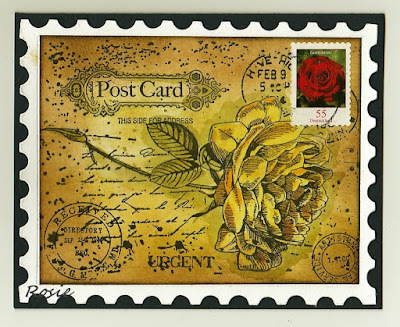 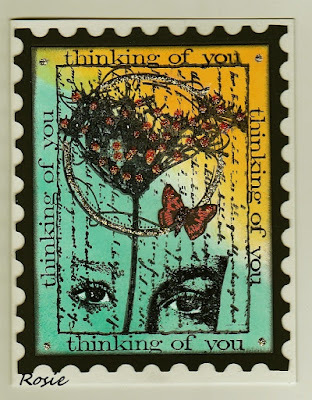 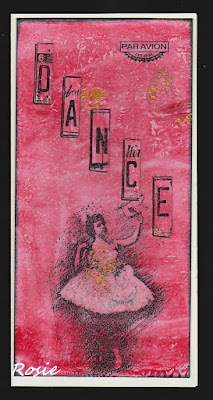 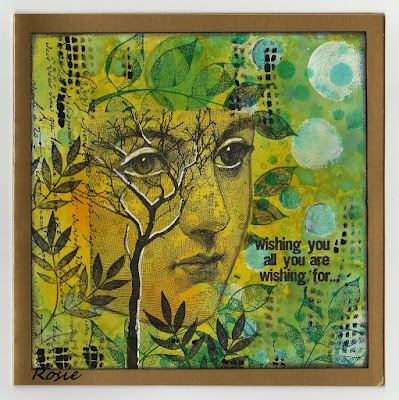 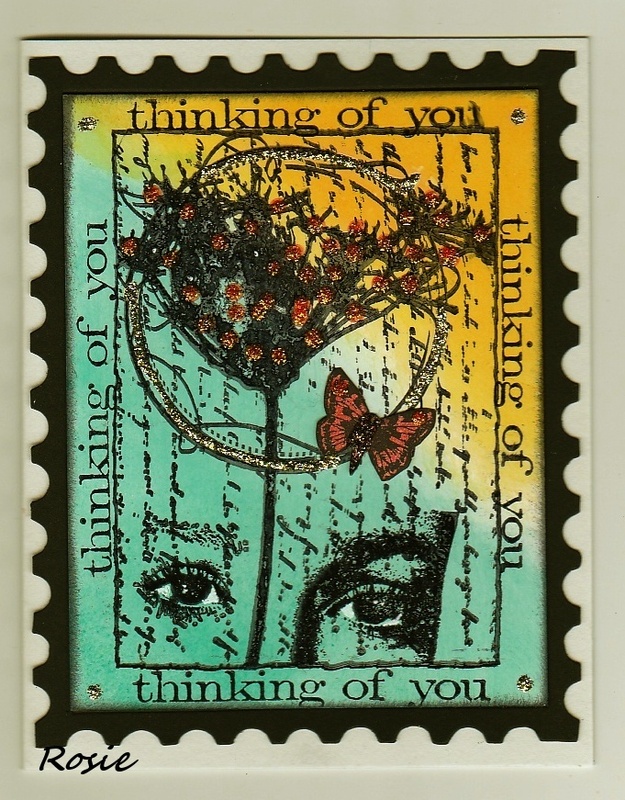 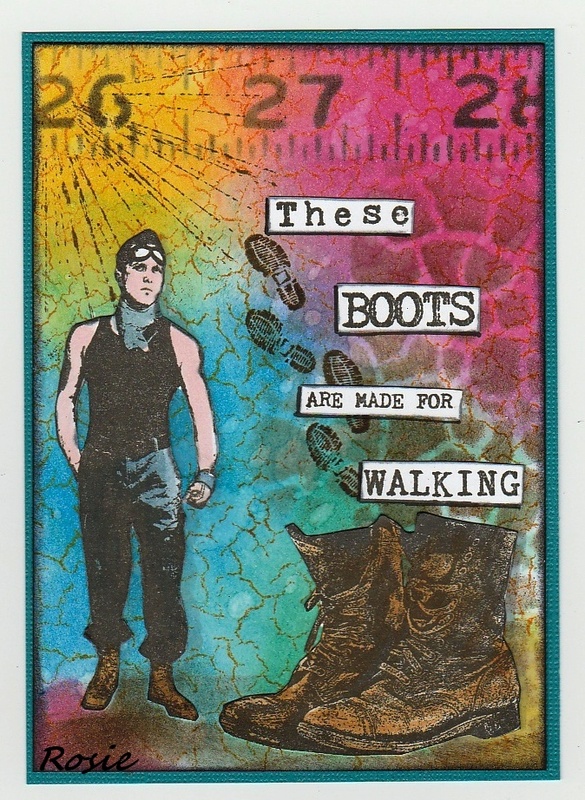 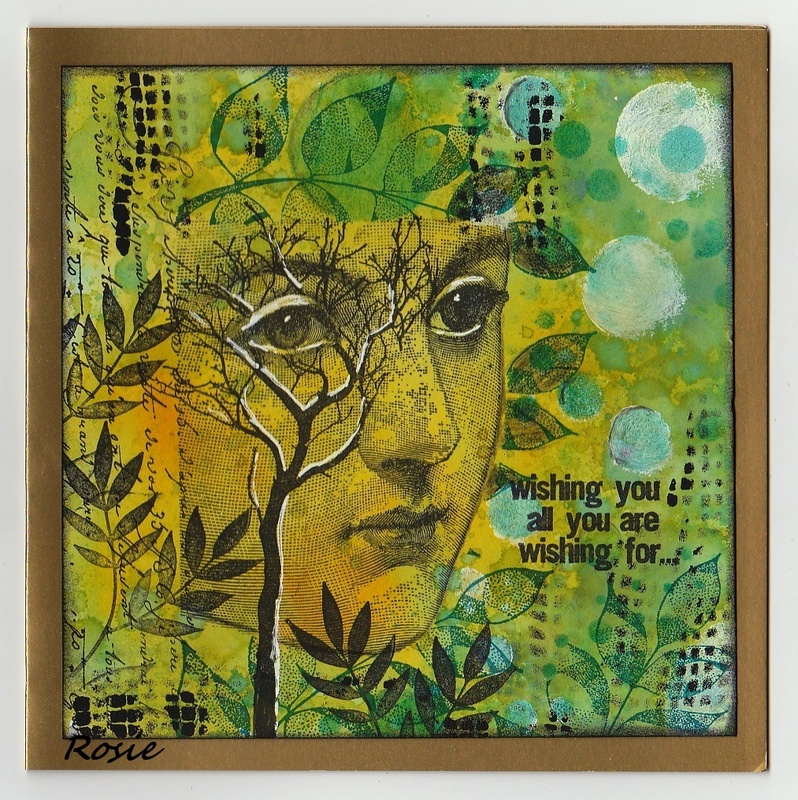 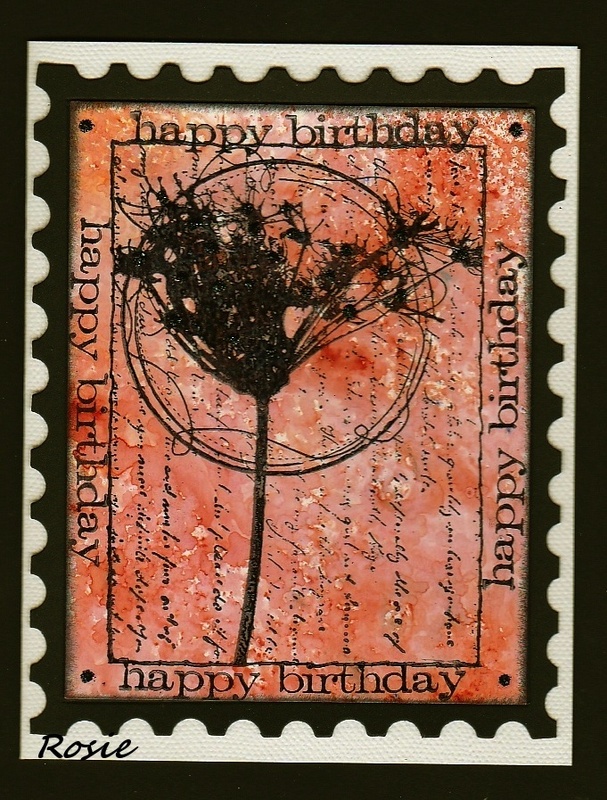 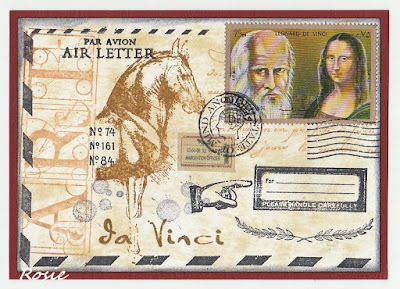 for Daniela Rogalls "Think Monday - Think ATC"
I try to make a bit of Mail Art with this card. 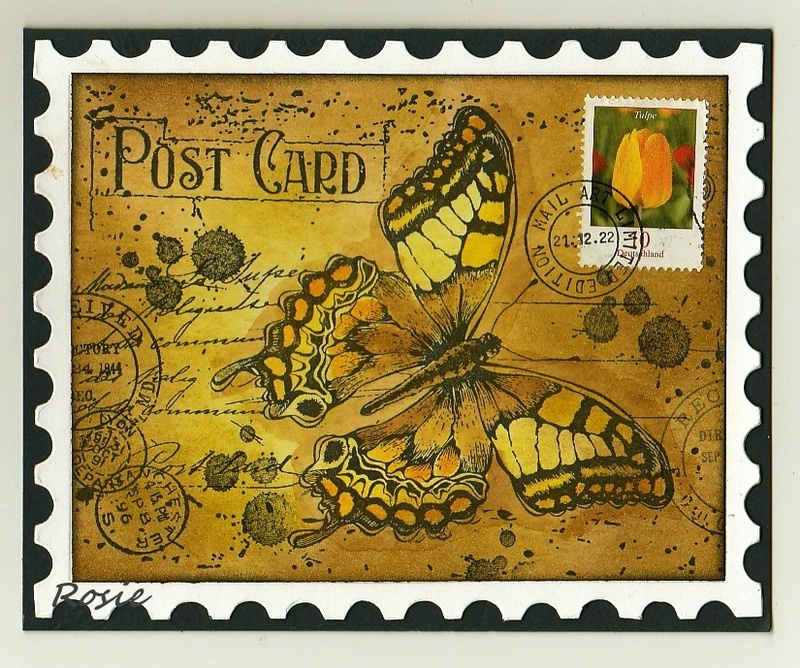 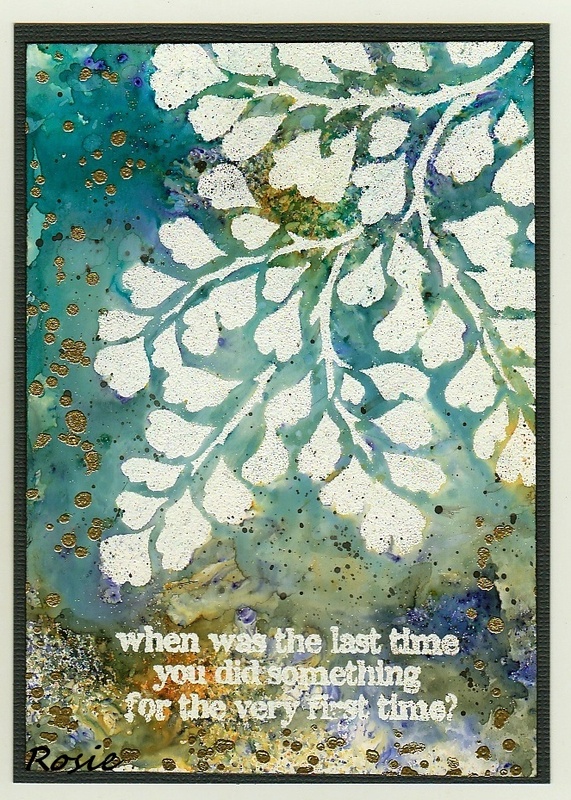 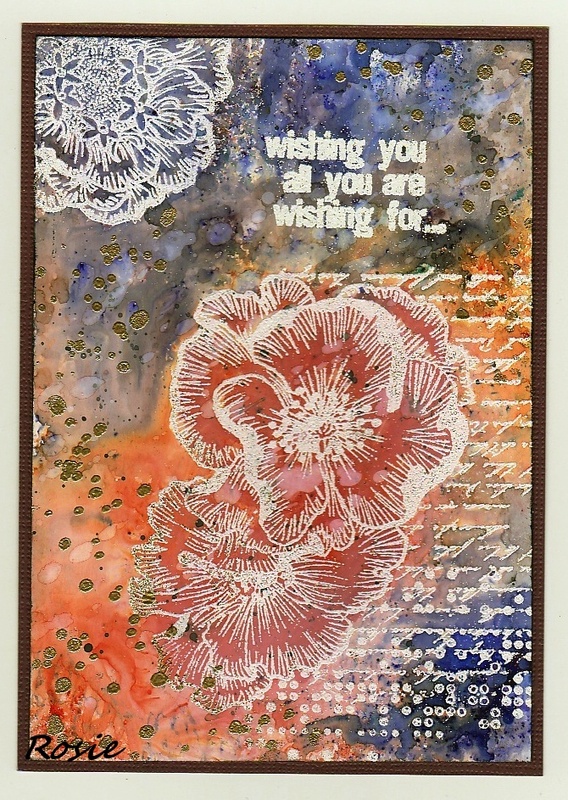 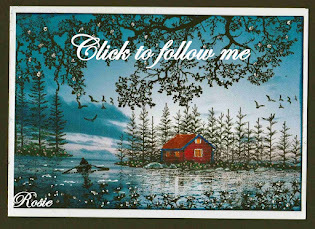 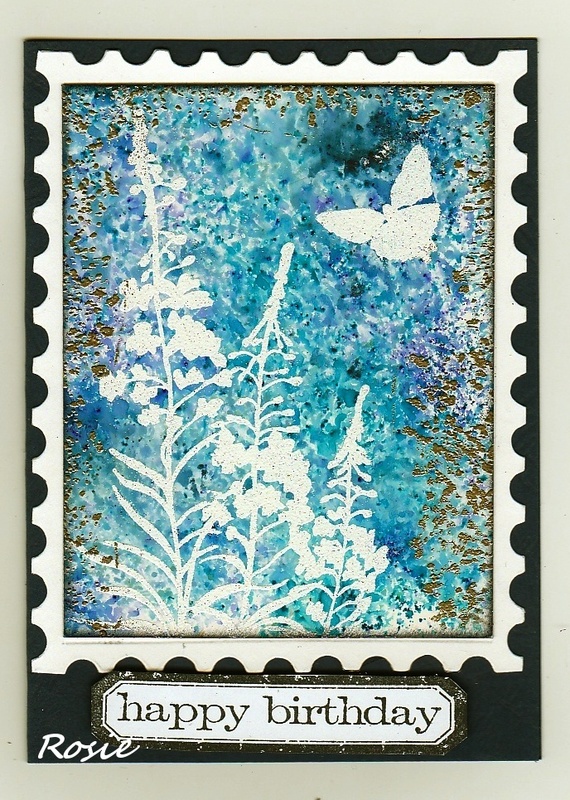 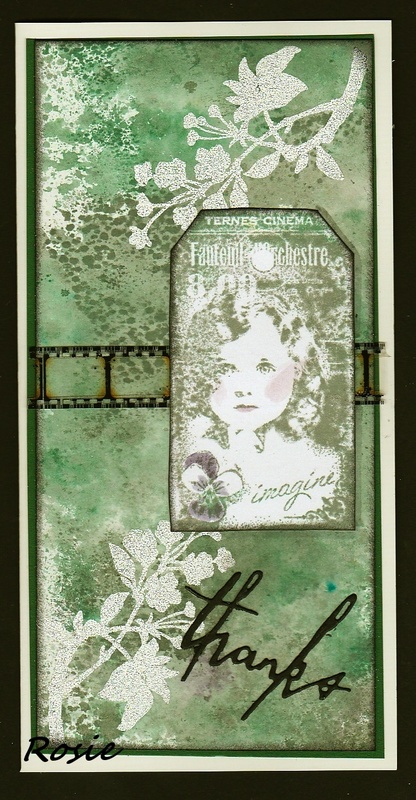 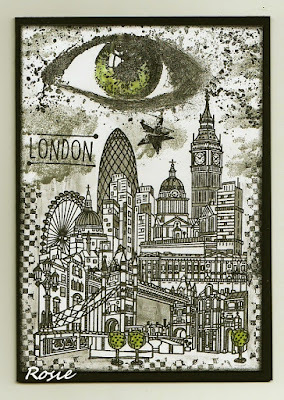 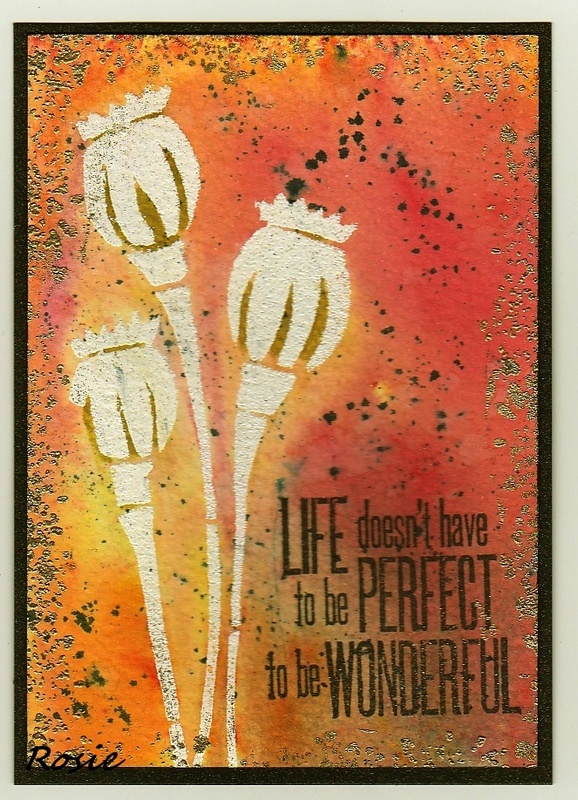 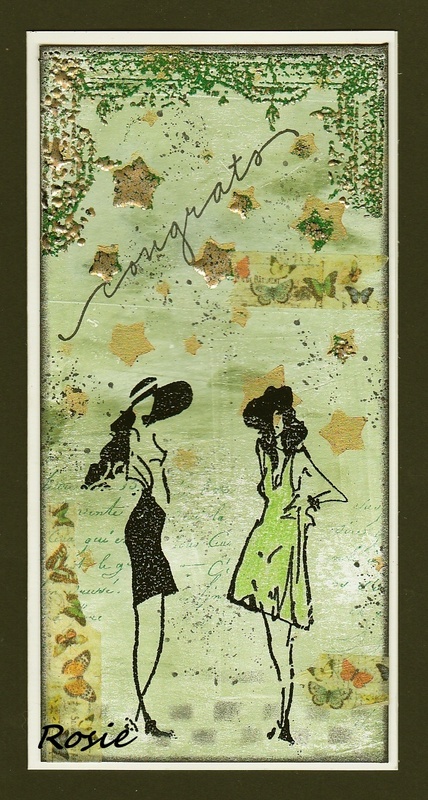 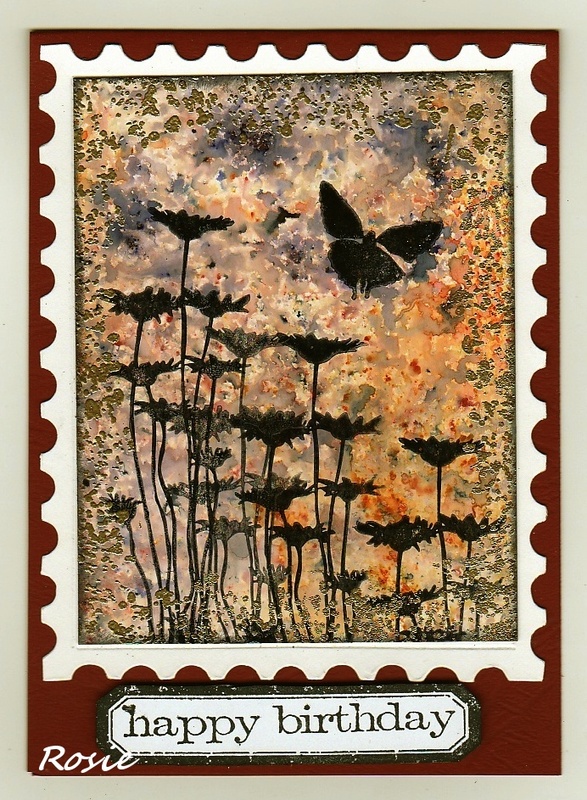 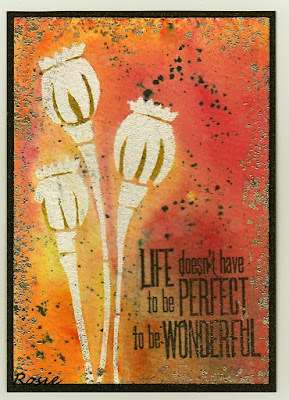 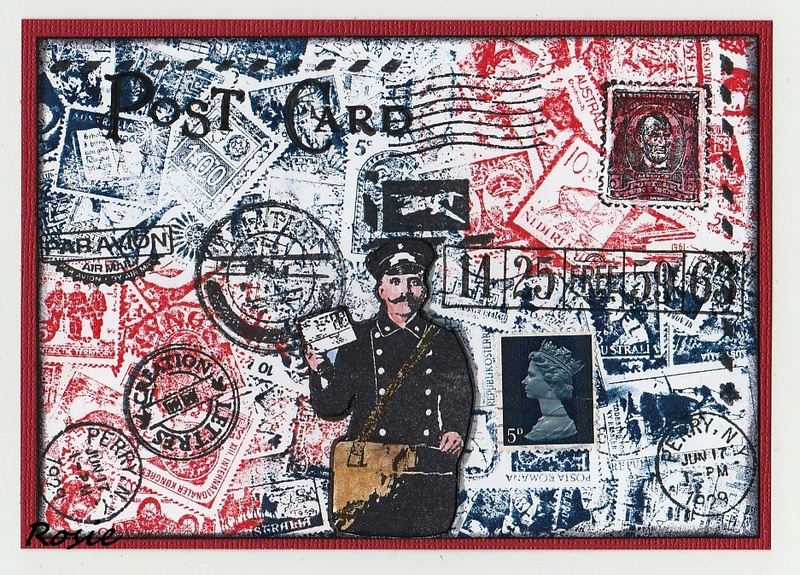 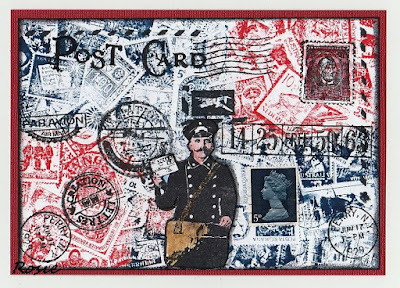 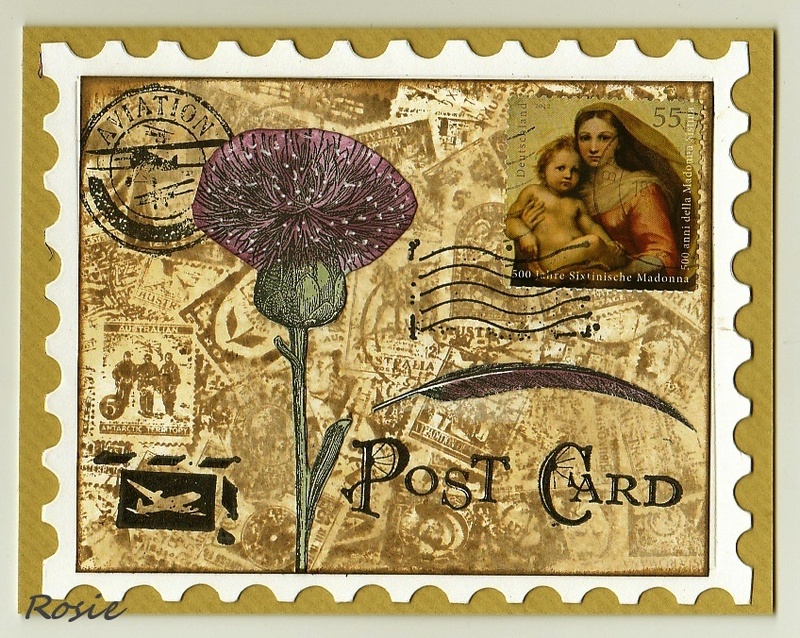 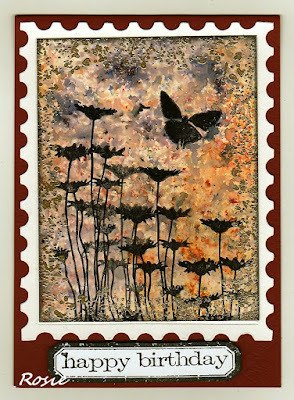 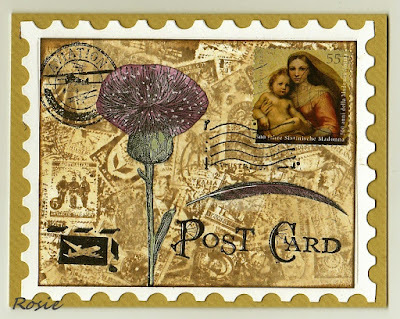 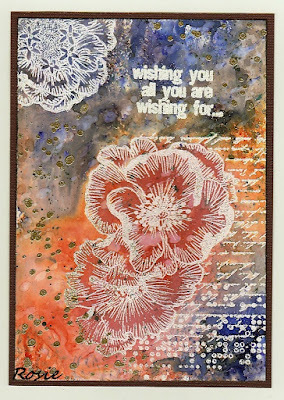 I saw this great tutorial by Dot's Dabbles and was so excited that I had to make my own postcard. I was so very excited and inspiert by cards from Coco, that I have to do also some of this kind of cards. 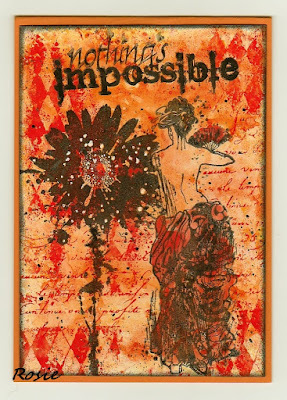 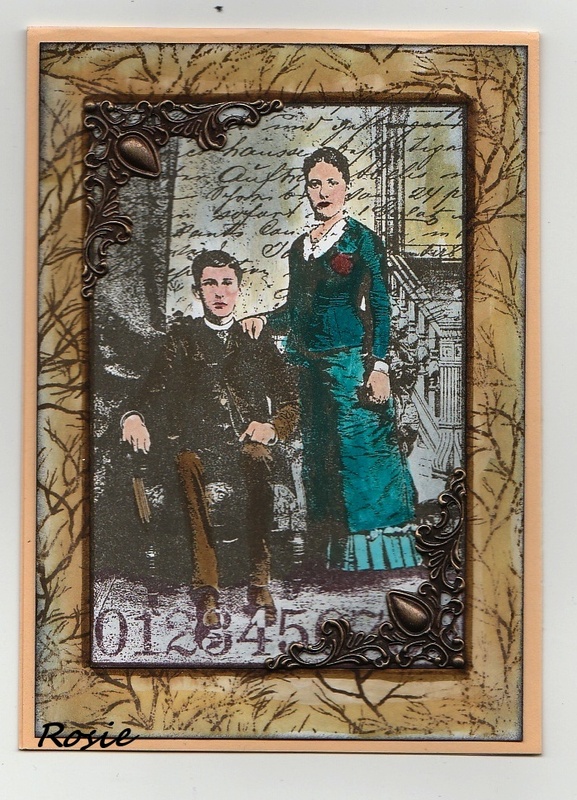 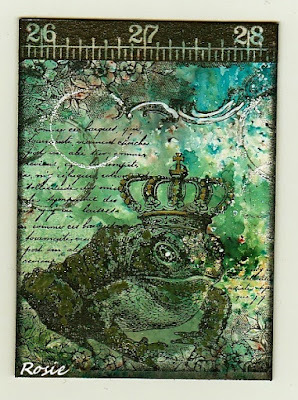 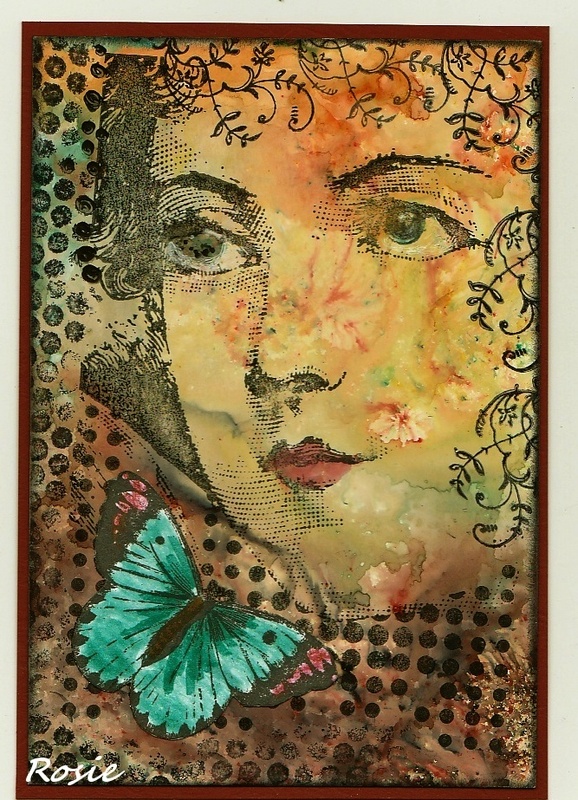 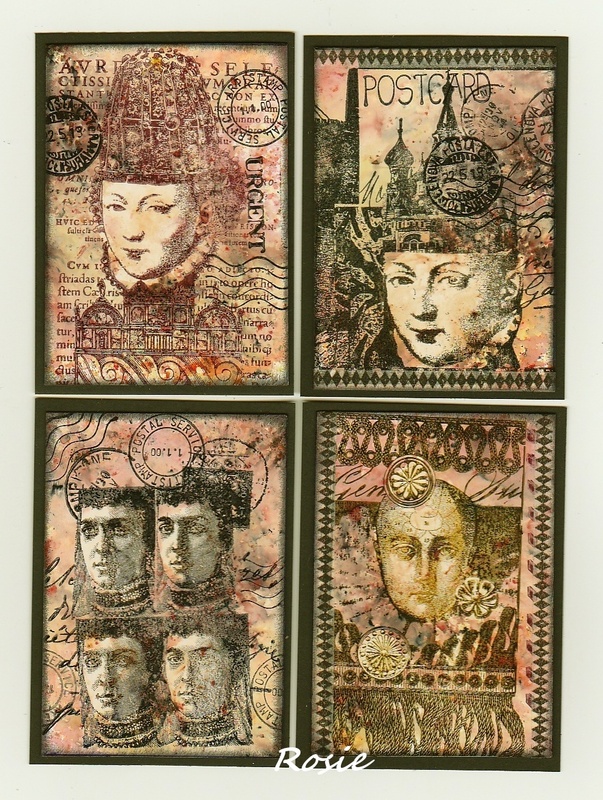 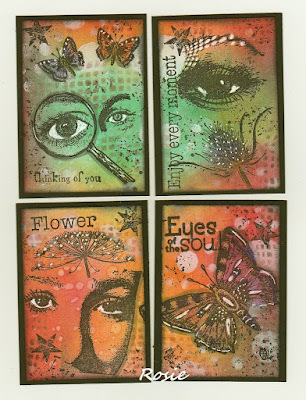 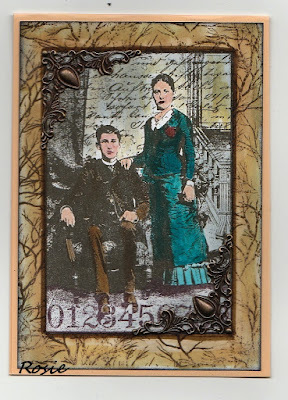 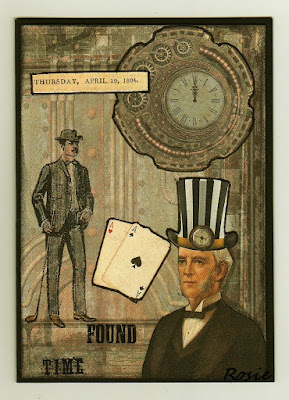 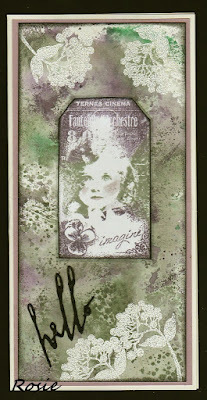 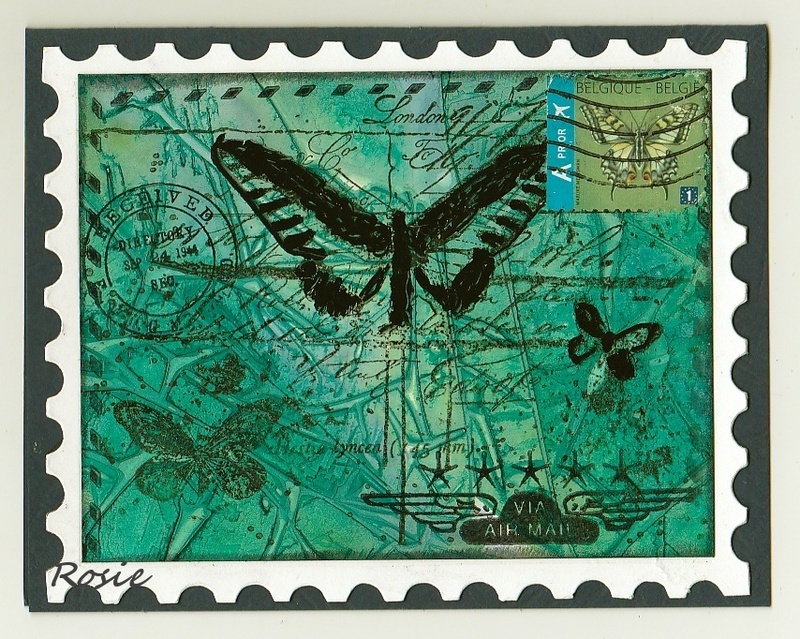 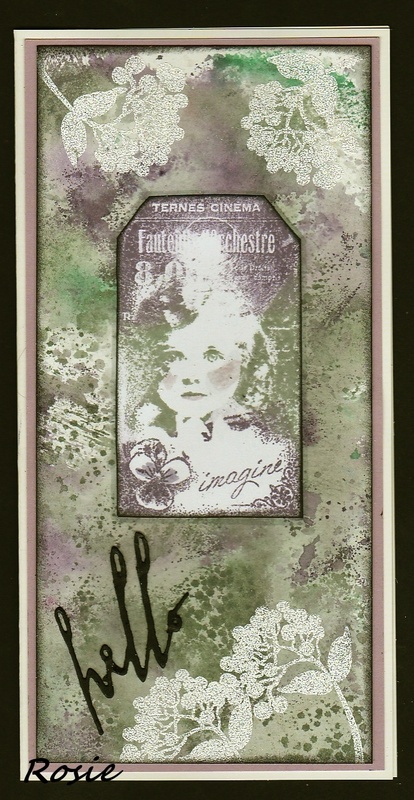 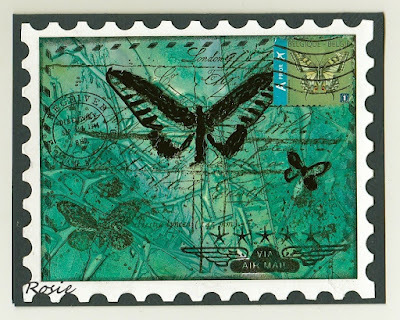 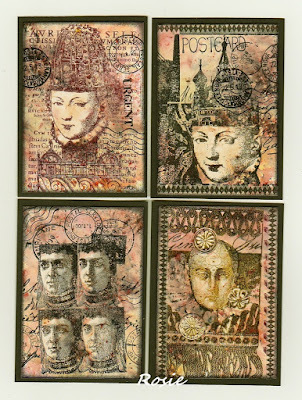 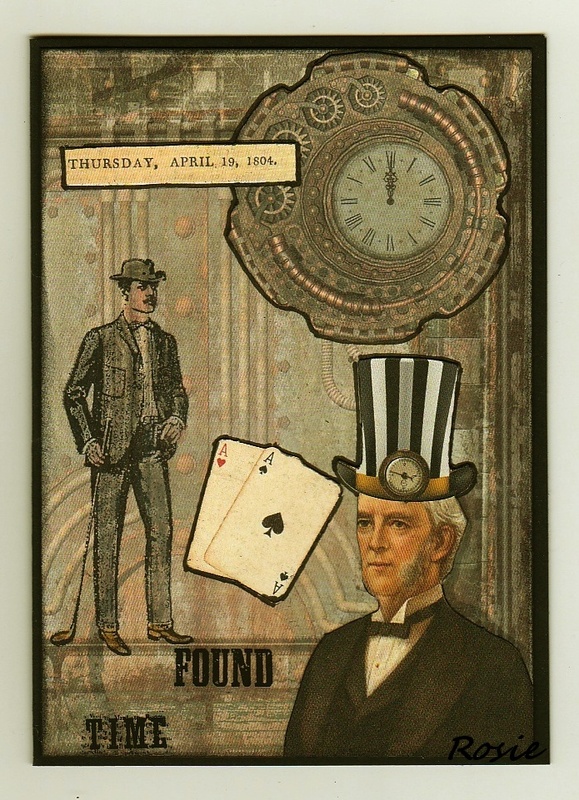 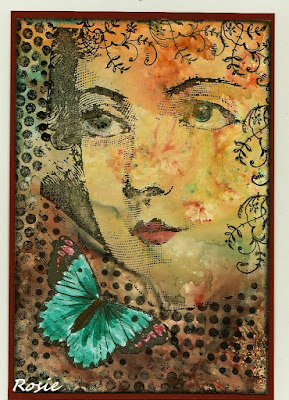 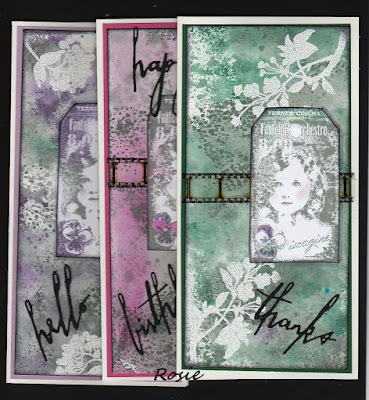 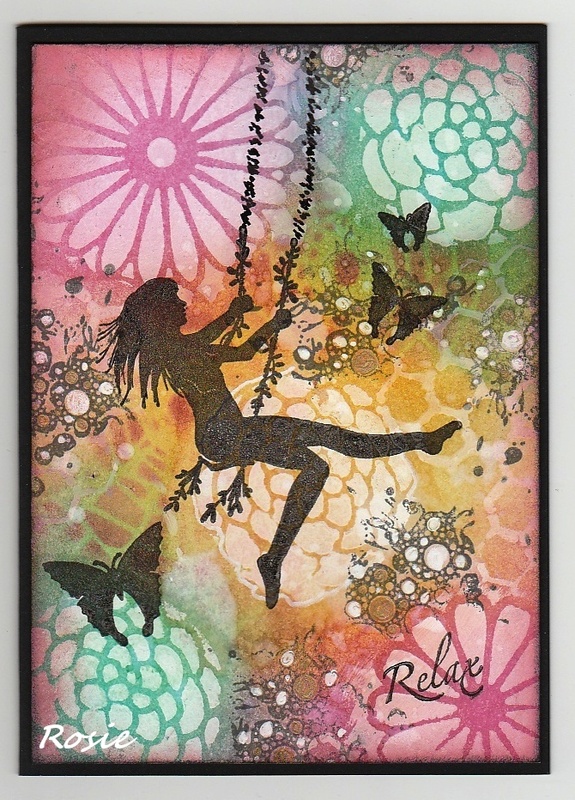 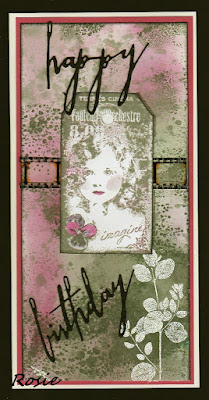 The technique is very easy, it is the second tutorial on this video from Tim Holtz. 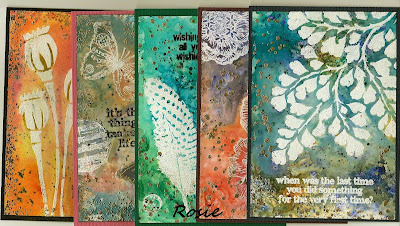 for Art Card Challenge Blog. 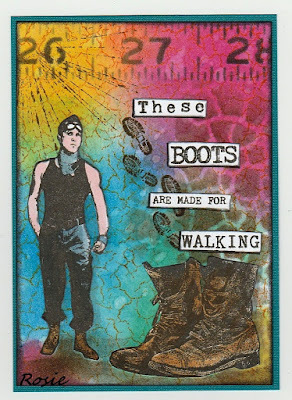 I used Ecoline Watercolour and bleach. 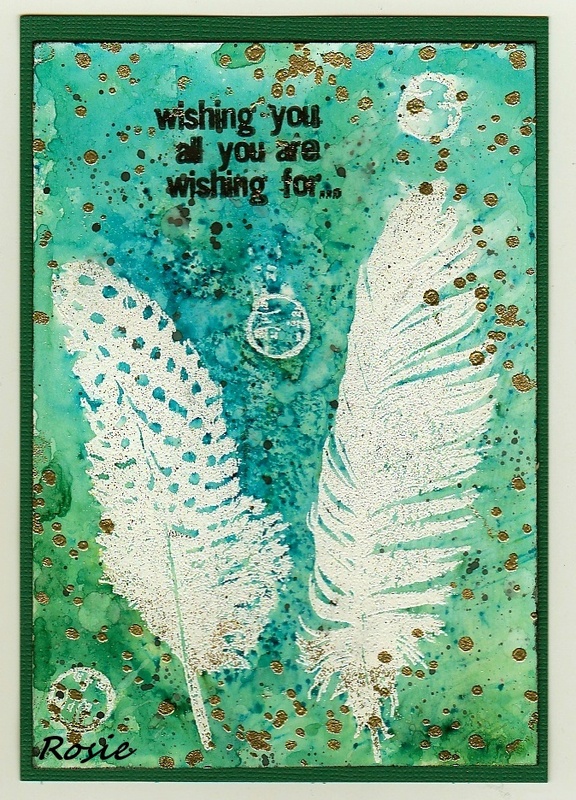 Für die Technik habe ich Ecoline Wasserfarben und Bleiche für die Spritzer verwandt. for Designs by Ryn January challenge. 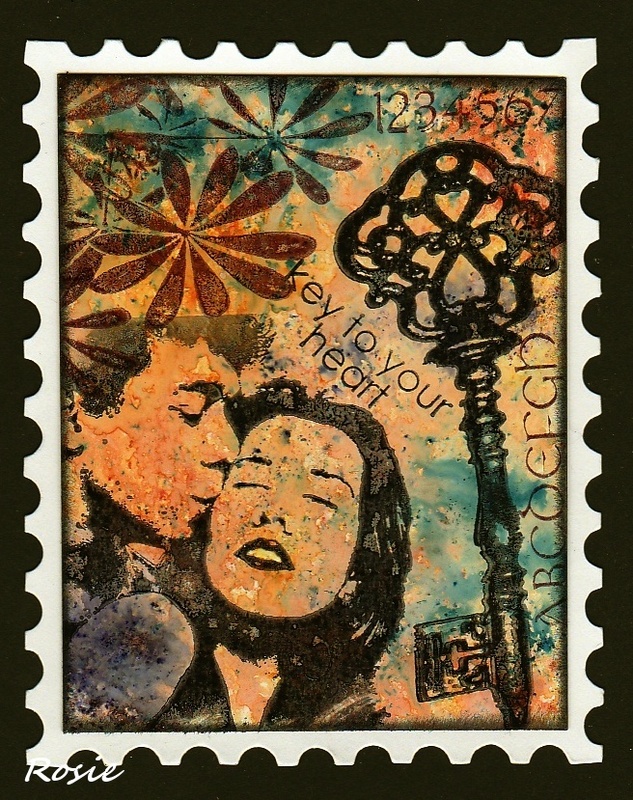 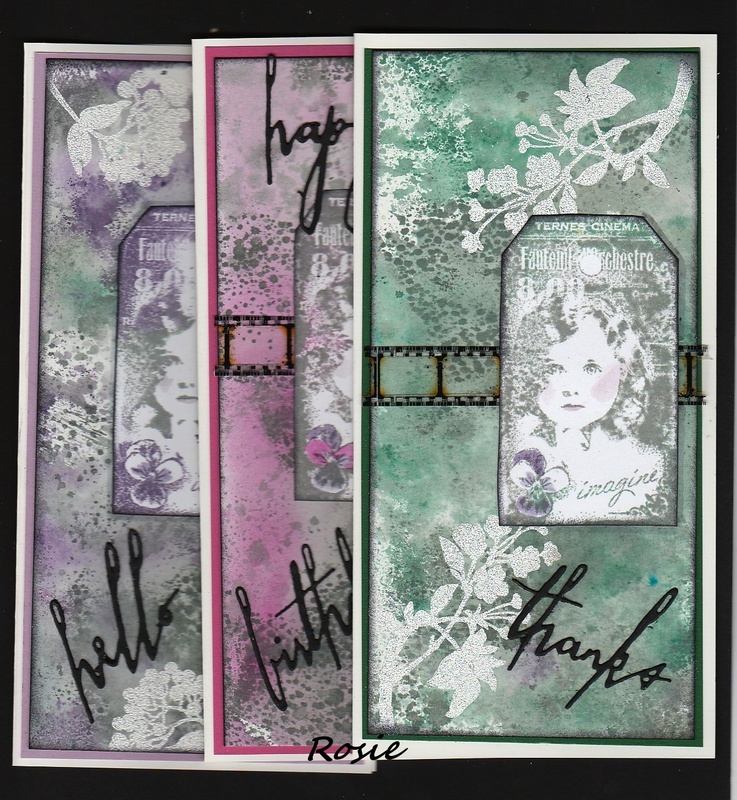 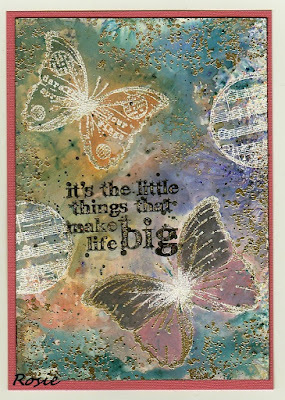 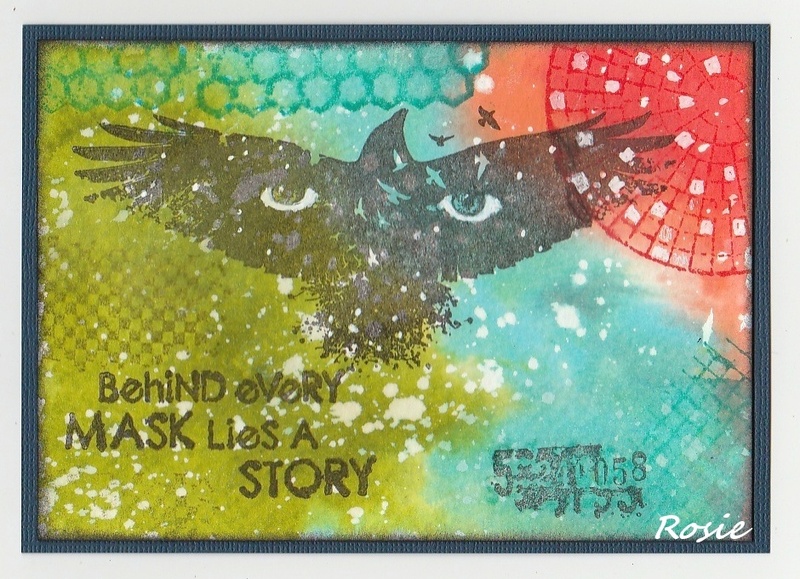 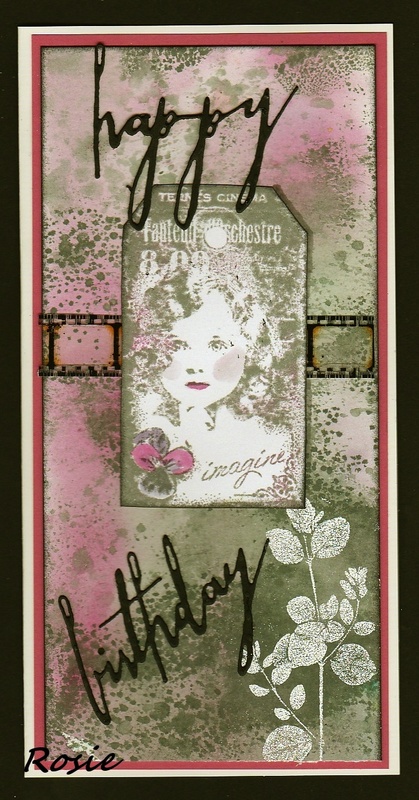 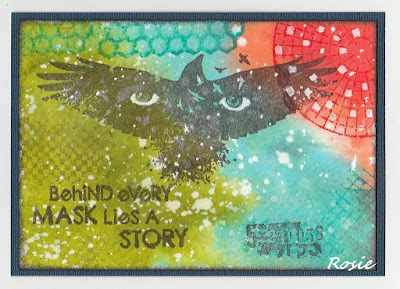 I used Brusho and Ryn's wonderful Stencil. 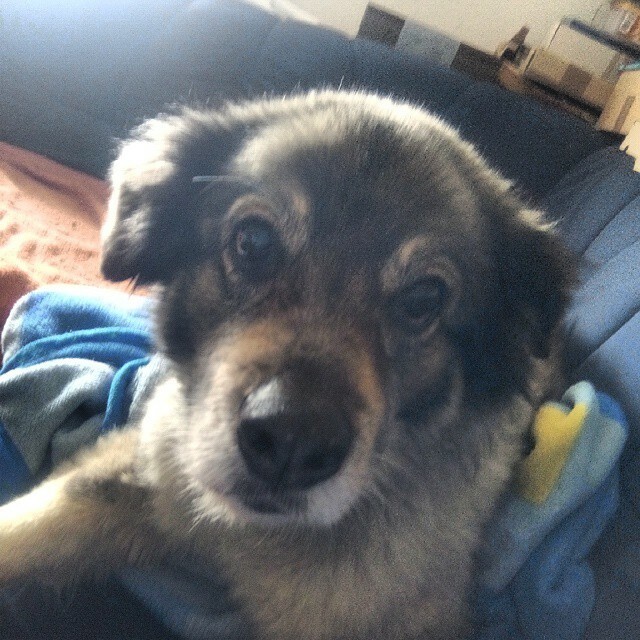 to my dear blogfriend Eva. 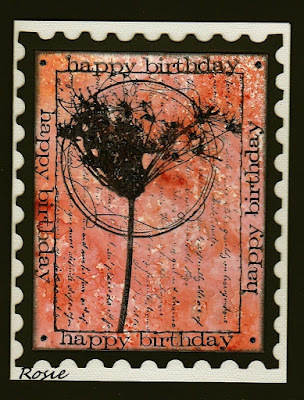 Today is her Birthay and I sent her this card. Hope that she like it. 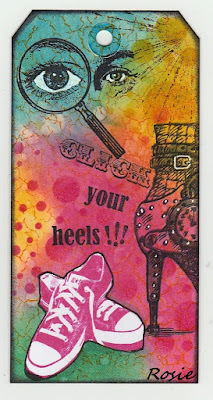 For Lost Coat Portal to Creativy challenge #20, This is a Gelliplate background.